Who me? 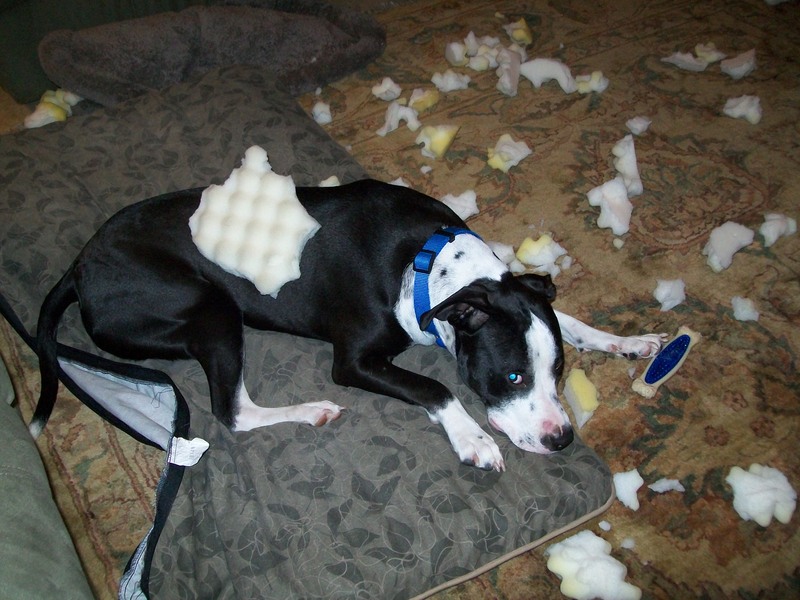 No, I don’t know how that dog bed got frayed while you were at dinner. Hmmm…..looks like a simple protest to me! I’m guessing she wants to sleep in YOUR bed, not his/hers!